Over the last few weeks, we’ve doubled the TulsaWiki. Twice as many pages, twice as many users, and twice as many words. The graphs are pretty impressive. But, there’s something important missing – the people! For this Wiki Wednesday, let’s focus on Tulsans. Who inspires you? Who is making Tulsa a great place to live? Who are the leaders? Who are the innovators? Who belongs on the cover of Tulsa People? Who is important to Tulsa’s history? Who is famous locally, but can’t quite make it onto Wikipedia? Let’s start adding Tulsans to the Tulsa Wiki! Go to the People page, and click ‘Edit’. Start by brainstorming – how many Tulsans can you add to the list? You might start by typing your list, then add them to the right place in the alphabetical list. When you add a name, highlight the whole name and select the ‘Link’ button (it looks like the image to the right ). A dialog will pop up. Don’t change the text, but click OK. You’ve created a link to a Tulsa Wiki page that doesn’t exist yet. When you’re done brainstorming, click ‘Save Changes’ to update the People page. 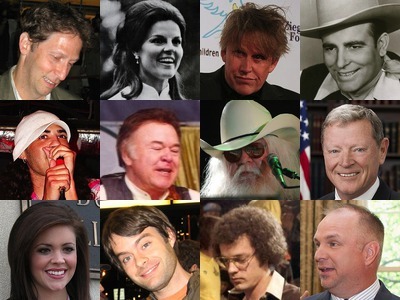 Click on one of your links, and make a short page for your notable Tulsan. Remember to save your changes. After saving you can use the ‘Edit Tags’ button to add the ‘People’ tag to your page. Go to the People tag page to see how this wiki challenge is progressing. Thanks to your help, we’ll make the Tulsa Wiki a lot more personal. If you are a photographer, please consider uploading your photos to Flickr or the Tulsa Wiki under a Creative Commons license. It’s hard to find good photos of Tulsans.